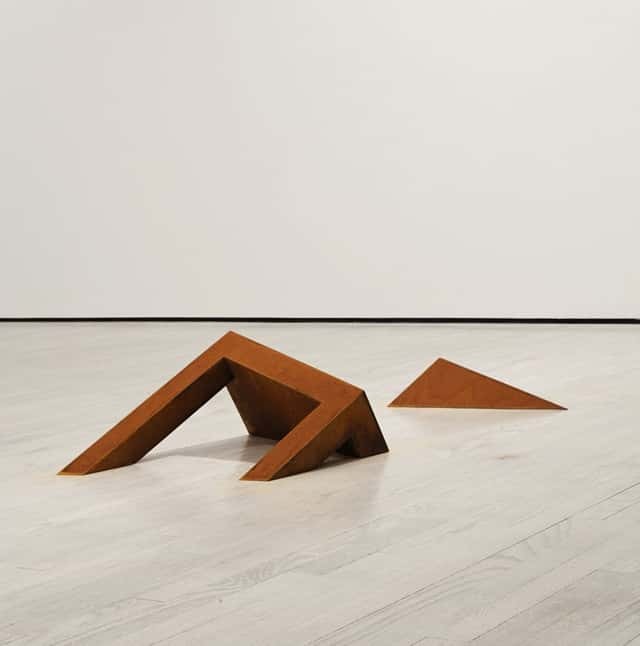 Sculpture artists have an amazing ability to turn everyday objects into works of art. Chairs are something that most of us see everyday, here are some examples of artists creating cool works of art that are made from and inspired by boring, everyday chairs! This huge sculpture was created by a Japanese artist named Tadashai Kawamata. It is made from hundreds of chairs, including stackable chairs, sofas and stools. Micha Ullman created this piece in 1995, it is located in the centre of Berlin. 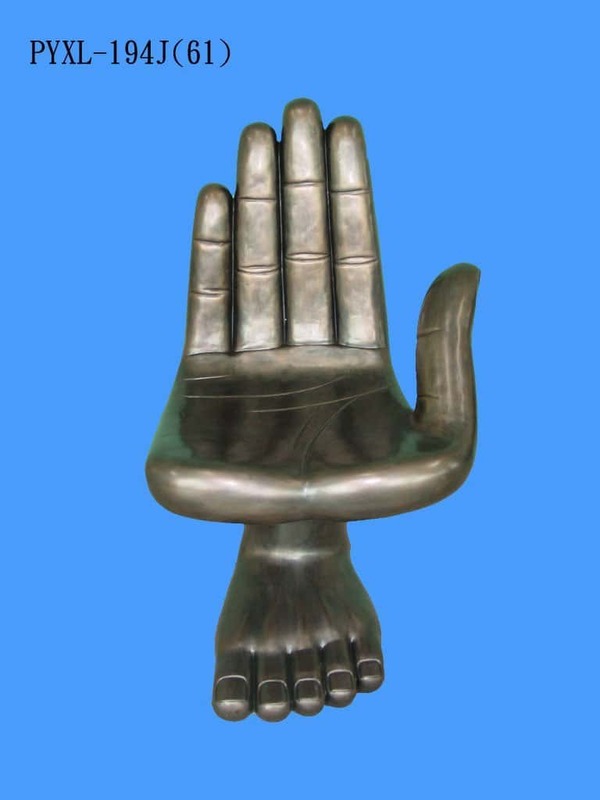 This 'Chair' sculpture is part of Ullmans Bibliothek (library) installation. 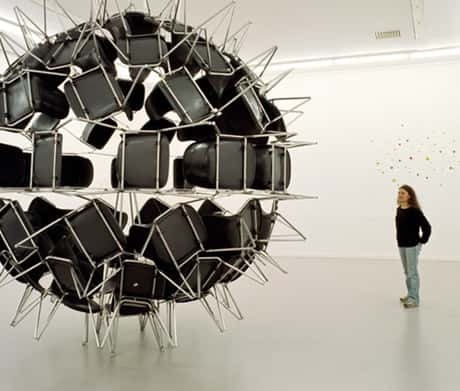 This piece is named "Black Whole Conference" and it was created by Michel De Broin in 2006. 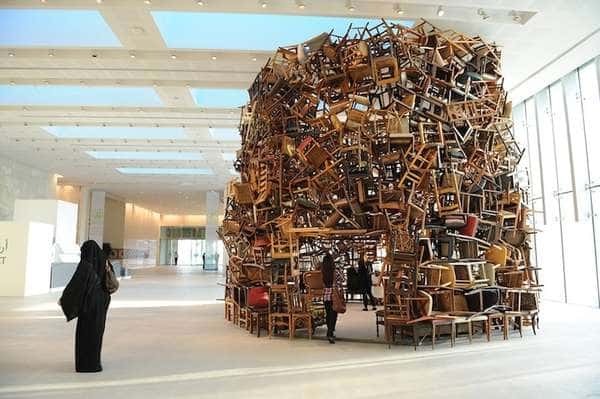 It has been made from 72 chairs and is located in Montreal, Canada. 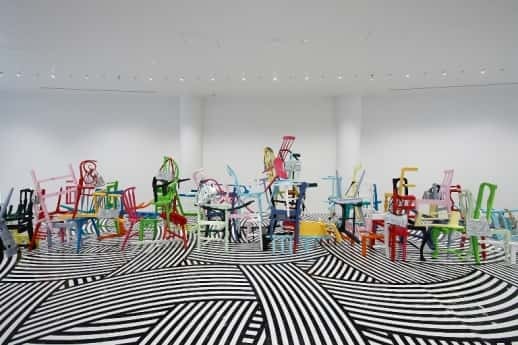 This sculpture was created by Jim Lambie in 2008, it was exhibited at the Hara Museum of contemporary art as part of his exhibit which featured wooden chairs, handbags, mirrors, gloss paint and variable dimensions.